For example, their study showed that 23% of Americans still believe their home is in a negative equity position when, in actuality, CoreLogics report shows that only 8% of homes are in that position. 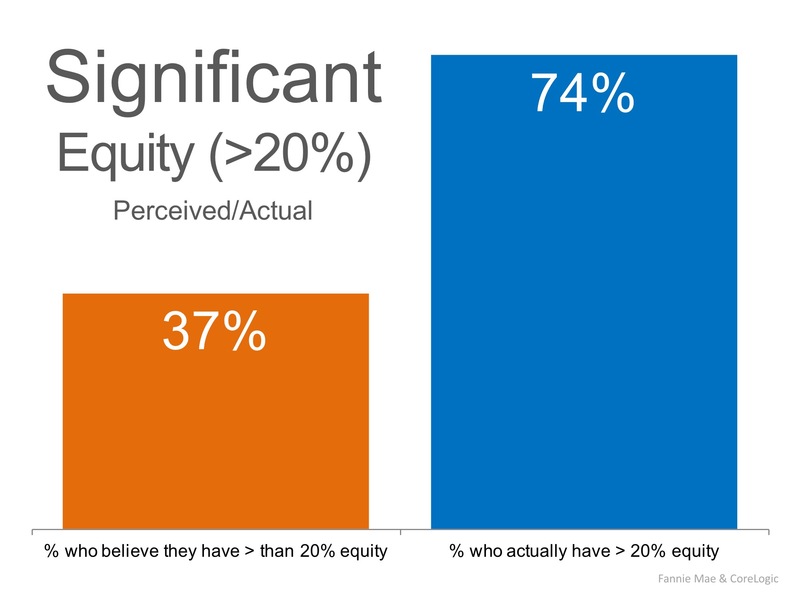 The study also revealed that only 37% of Americans believe that they have significant equity (greater than 20%), when in actuality, 74% do! CoreLogics report also revealed that if homes were to appreciate by an additional 5%, over 800,000 US households would regain positive equity. If you are one of the many homeowners who is unsure of your current equity situation, let's meet up to discuss your options.